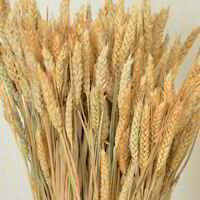 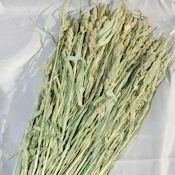 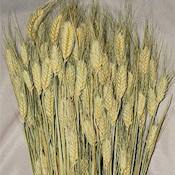 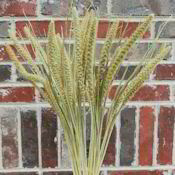 Other decorative wheat like products for you home decor. 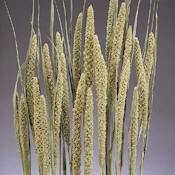 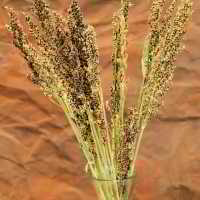 Products like Avena, Barley, Rye, and millet that are popular and used by themselves or in wheat arrangements all the time. 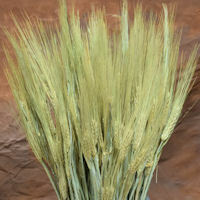 Each of these decorative wheat products are beautiful and unique. 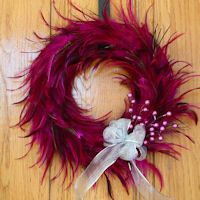 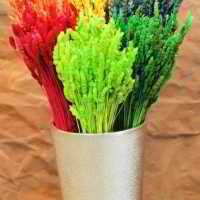 They add texture to a table, wall or centerpieces. 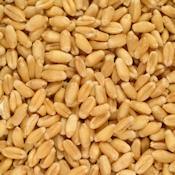 Each of these dried and preserved wheat products are made to last and look good a long time for your enjoyment. 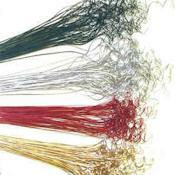 Dyed Grass - Dacitello Grain - 3 oz, Dyed to provide a rainbow of colors. 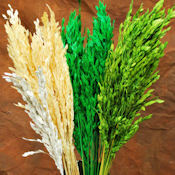 Dried Grains are great decorative additives for your centerpieces. 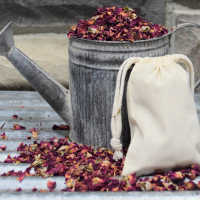 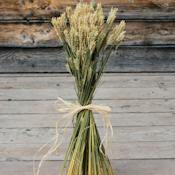 Try some dried grains in a vase in your office, home, or event. 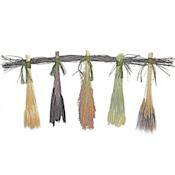 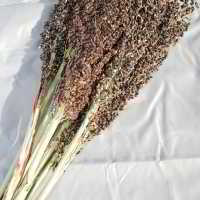 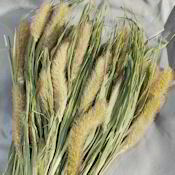 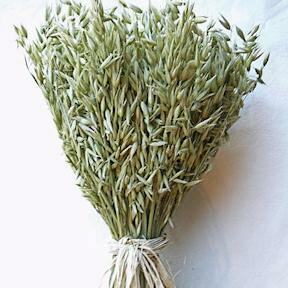 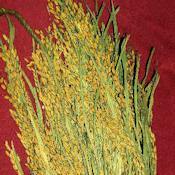 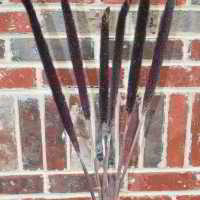 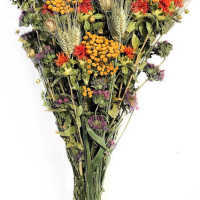 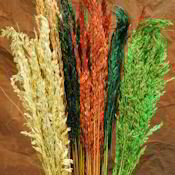 Add some broom corn, wheat grass, dacitello grass, rye together or with some dried flowers. 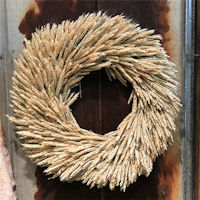 Dried grain bundles are unique and classy. 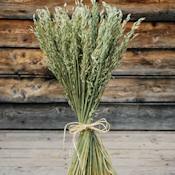 Try some dried grain bundles in your arrangements today.